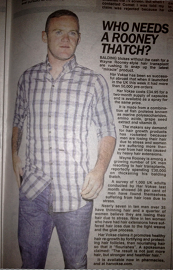 Weak hair may prove to be detrimental to one’s self-image. 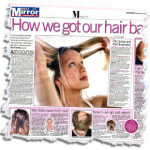 If you want healthier hair, this article can tell you how to strengthen hair and keep it in great condition. While a person may lose between a hundred and 150 hair strands daily, this is considered normal since most people have 100,000 plus hair strands on their scalp. Besides, new hair strands grow back in the place of the one which was lost, an ongoing process until middle age when hair re-growth slows down. Find out how to strengthen your hair by having stronger follicles. Your oil glands release sebum, or oil, into your hair’s follicles which are tiny sacs lined with numerous skin cells. Sebum protects and lubricates your hair. When these cells enter the sacs and get “lumped” together, it results in hair. That part of your hair that you see is called the hair shaft which is made of keratin, a kind of “dead” protein. To strengthen the follicles, you must have a healthy diet since hair is directly derived from cells. Simply put, the health of your hair depends on your overall health. There are several ways to strengthen your follicles but the best way is to do it the natural way. 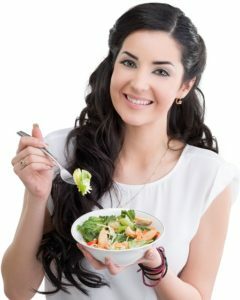 Below are some tips on how to strengthen hair naturally through changes you can make in your diet. A deficiency in oxygen supply weakens hair follicles. Increase this supply by eating foods that contain iron because this nutrient facilitates the transport of oxygen to your hair’s follicles. Foods like dark green and leafy vegetables such as spinach, broccoli, and kale, lean meat, and beans, lentils, and legumes are all rich sources of iron. Or you can take an iron supplement to meet this requirement. Your diet should include the mineral zinc which helps strengthen follicles by binding proteins to build strong hair strands. Seafood such as shrimp, fish, oysters, lobster, and clams are good sources of zinc. This mineral supports your oil glands so they can protect your hair better, albeit go for a daily 11mg dose since too much zinc will interfere with your body’s absorption of other nutrients. Have a variety of vegetables, healthy fats, and fruits in your diet to get your supply of vitamins E, A, C, and the B-complex family. Pick several different colors of vegetables and fruits such as carrots and oranges (orange), tomatoes and cranberries (red), Brussels sprouts and avocados (green), and bell peppers and pears (yellow) to eat a variety of them. Consume foods rich in protein including eggs, turkey, lean meat, chicken, and low-fat dairy. Hair is built with protein and one sure way to ensure that you have an adequate supply of it in your system is to know how to strengthen hair naturally by eating other foods that have essential vitamins and minerals. Vitamin C is especially helpful because it aids in the absorption of iron from other sources. Black currants, guavas, blueberries, papaya, sweet potatoes, kiwi fruits, and strawberries are all rich in this vitamin that helps produce collagen which is essential for strengthening capillaries that carry blood and oxygen to the hair’s shafts. Another vitamin needed to produce sebum is vitamin A. Sebum is your hair’s natural conditioner to maintain scalp health. Without it, dryness and itchiness can occur in the scalp, cause it to break, become infected, and weaken your hair. Orange, yellow, and yellow-orange vegetables and fruits that are high in vitamin A include carrots, sweet potatoes, pumpkins, bell peppers, and oranges. 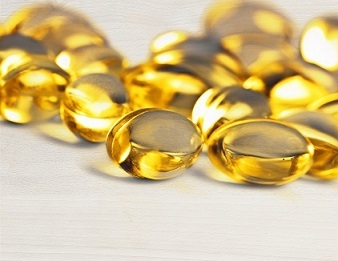 Yet another vitamin, vitamin E, can help protect your hair and your skin as well. Know how to strengthen hair roots by incorporating this powerhouse vitamin in your diet through almonds, silken tofu, salmon, sunflower seeds, shrimp, and squash, among others. The Recommended Daily Allowance (RDA) for vitamin E is 15mg a day for adults. Aside from zinc, copper is one mineral that can help strengthen hair shafts and retain the pigmentation of your hair. Copper deficiency leads to hair breakage and premature graying of hair. Foods rich in copper include poultry, lean red meat, nuts, eggs, and dark green and leafy vegetables. Herbs and spices that have copper include cumin, cloves, marjoram, curry, dill, tarragon, and thyme. Selenium is another important mineral that helps prevent hair breakage as well as split ends and dandruff. Brazil nuts, lamb, and seafood such as shrimp, cod, sardines, fish, and tuna are rich sources of selenium. Vegetarians can opt for cottage cheese, garlic, white button and Shiitake mushrooms, brown rice, lima and pinto beans, Chia seeds, and oats for their selenium supply. The heat from hot curlers, flat irons, blow-dryers, and curling irons further weaken your hair. Using a blow-dryer on hair that is completely wet, for instance, heats water that has remained in your hair cuticle, causing this to expand inside your hair and leave blisters or spaces inside hair fibers which weaken them. Additionally, these parched hair strands soak up air moisture and cause frizz. Keep your hairstyling tools on low temperatures and increase their settings only when necessary. Apply heat protection conditioners before you style your hair so it can be protected from potential thermal damage. Always follow up with products infused with conditioners or protective oils to help seal in moisture for your hair follicles and hair roots. 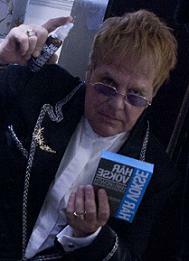 Do reduce your use of heated hairstyling tools and find other hairstyles to wear. Instead of blow-drying your hair and then using a curling iron to create waves every day, leave it as it is for one whole day, braid it loosely or have it in a ponytail. Remember to use some fortifying mousse or gel and bands without metal on them. Don’t strain your hair strands with dreadlocks or if you absolutely must, ensure that you wear you hair this way only for a day or two. Switching hairstyles every other day can help avoid straining already weak hair. Another way you can strain your hair strands is by brushing them when they are wet. Use hair brushes with padded bristles or those made with animal hair like boar bristles. Alongside a healthy and hair-strengthening diet, there are hair-strengthening products that you can use. You just have to know how to choose them. Those labeled “anti-breakage,” “restorative,” “renewal” or “strengthening” are best because this means the product has ingredients which can help temporarily seal off existing split ends, moisturize, hydrate, repair, and thicken hair. 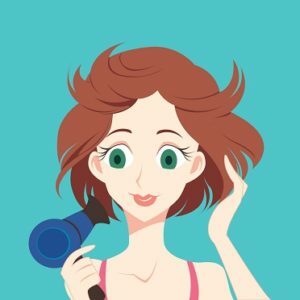 Shampoos, conditioners, and hair styling products with ingredients that infuse proteins, amino acids, and other hair-strengthening substances are best to use. Avoid those which tend to dry out your hair. Use a conditioner that can penetrate deep into your scalp and moisturize it by hydrating your hair’s roots and follicles. Enhance conditioning by getting protein mask or hot oil treatments regularly. Incidentally, overusing hair products to compensate for damaged hair should not be done because this can result in more damage to your hair. This means you should avoid any hair styling products that contain alcohol, for instance, as well as limiting the use of chemicals on your hair like hair dyes, bleach, and perm or straightening solutions. These tend to dry out hair when used for a prolonged period of time, weaken hair fiber and may cause permanent damage to your hair. Counteract these chemicals by using products that contain stearyl alcohol that can strengthen weak hair and soften it at the same time. Use hair dye or coloring that is free from ammonia and has conditioning ingredients. 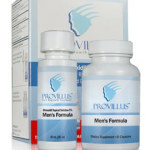 Men who suffer from hair loss or baldness will be especially glad to know that there are some good products to strengthen hair available on the market such as Har Vokse or Provillus, which has been clinically proven to re-grow hair in men, fortified with natural ingredients that can help alleviate hair loss’ hormonal causes like androgenetic alopecia. Some people might think this is overkill (and expensive to boot). However, getting your hair trimmed at least a few centimeters every few weeks will keep it healthier and less prone to breakage and split ends. Most people are anot aware that about 80% of the adult population lack nutrients that support heathy hair growth. 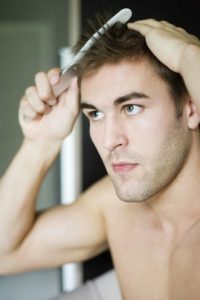 As a result, long hair tend to be brittle, hence the need to cut off the ends before their split and become problematic. This way you can maintain a healthy head of hair and prevent problems such as hair fall, split ends, and many others. This regimen has a dual purpose, as it does not only strengthen hair strands, but it also makes your locks shinier and more manageable. IN fact, if you are looking to spend less money on hair maintenance, coconut oil is a great way to do so. The natural lubrication provides nourishment to the hair, from roots to tips, so it is just like a hot oil treatment for a fraction of the cost. In addition, the nutrients present in coconut oil prevents hair loss, especially for women with brittle, sensitive, or damaged hair. Tip: Apply the coconut oil on your hair and let it sit for 10-15 minutes, preferably while covered in cellophane or a shower cap. This will ensure that the oil seeps into the hair fibers and conditions the scalp thoroughly as well. Many people (mainly women) make the mistake of using a fine toothed comb when brushing their hair right after taking a shower. This is ill advised because it can cause the strands to break, especially if you used shampoo that caused the locks to tangle. A wide toothed comb carefully separates the strands without causing any damage at all so be sure to have at least two kinds of comb on your vanity. Avocado – The natural oils in this fruit are highly effective in keeping the hair and scalp healthy. All you need is one whole avocado, with the meat lightly mashed. Apply it onto the hair, including the roots, and it let sit for at least 20 minutes prior to rinsing with lukewarm water. Carrot Juice – Using a juicer, extract carrot juice and place it in the fridge for a good 30 minutes to about an hour then apply directly to your hair. Beta carotene has been known to effectively strengthen hair strands and prevent hair loss. Aloe Vera Extract – This regimen works best if you get the aloe extract fresh from the plant (as opposed to using bottled ones). Use as a mask and leave it to sit for at least 45 minutes before washing your hair. All these tips and tricks barely cost anything at all and they are guaranteed to bring visible results. There are many ways of learning how to strengthen hair but at the end of the day, the best solution would be a combination of diet and a careful selection of quality hair products that will supplement your dietary efforts. Provide your hair with all the necessary nutrients and in no time at all you will have thick, lustrous, and healthy hair. 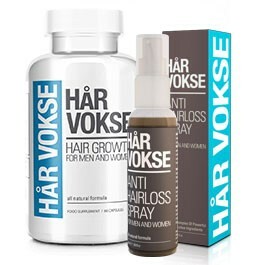 Har Vokse is a very effective product that can deliver great results in a short time. It is rather on an expensive side of the market, however effects that can deliver are definitely worth the price.